Barbara and Pam greet everyone at the door and handed-out our new lapel pins. 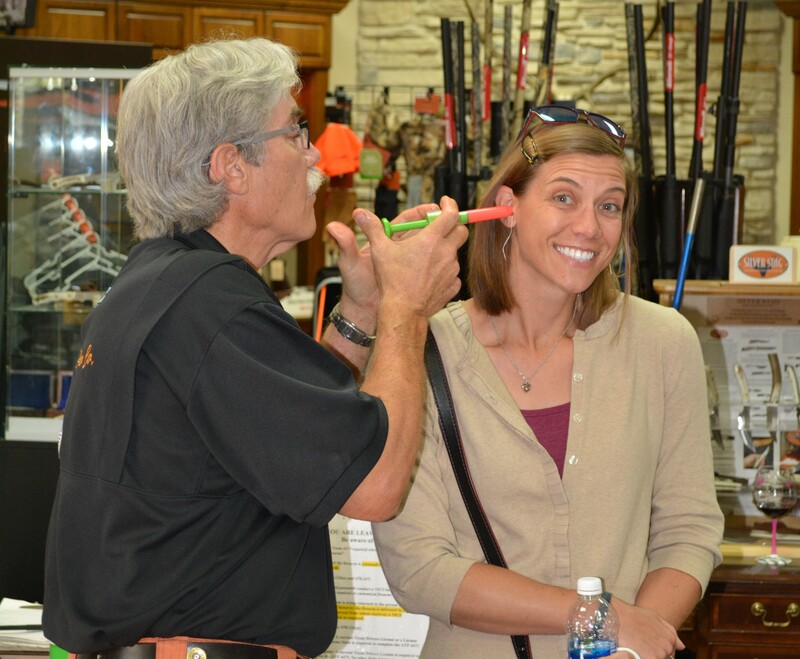 In April, Briley Manufacturing hosted a Meet & Greet for the Lady Clay Shooters. So often when we are out on the course, we are focused on the targets we are shooting, and we don’t get to spend time with each other as much as we would like. 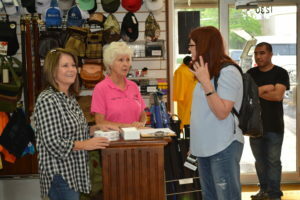 Briley provided a great opportunity for the ladies to causally visit with each other in a relaxed (and air-conditioned) atmosphere. 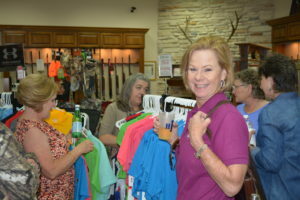 Refreshments were provided and enjoyed as the ladies browsed around the shop and picked out new shooting gear at a 10% discount! Susie Hechler seems uncertain about the process while Tim Holt makes her a set of custom earplugs. Tim Holt with Audio Protection made custom earplugs on site, while Tom Donahue showed off an array of eye protection to keep our ladies safe. Tours of the shop were given and we learned the history of Briley chokes. We were fortunate to see workers and science-fiction type machines in action. 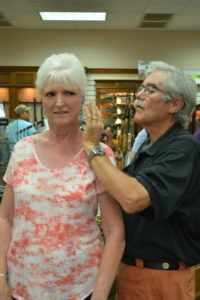 John Barnes answered questions about chokes as both the ladies and their husbands milled around the shop. Briley also donated a Pelican cooler, gun sleeves, and a range bag that were given away as door prizes to lucky lady winners. Debbie Holmes shops ’till she drops and enjoys the 10% discount.